A representative of the Give-time Foundation by the Ur & Penn in Sweden, a sponsor of The Hunger Project-Ghana’s (THP-Ghana) Epicenter program at the Obenyemi Epicenter in the Yilo-Krobo District of Eastern Ghana, Johanna Hagberg says she is extremely excited about the opportunities made available to the rural folks in a less privileged community by THP Ghana. 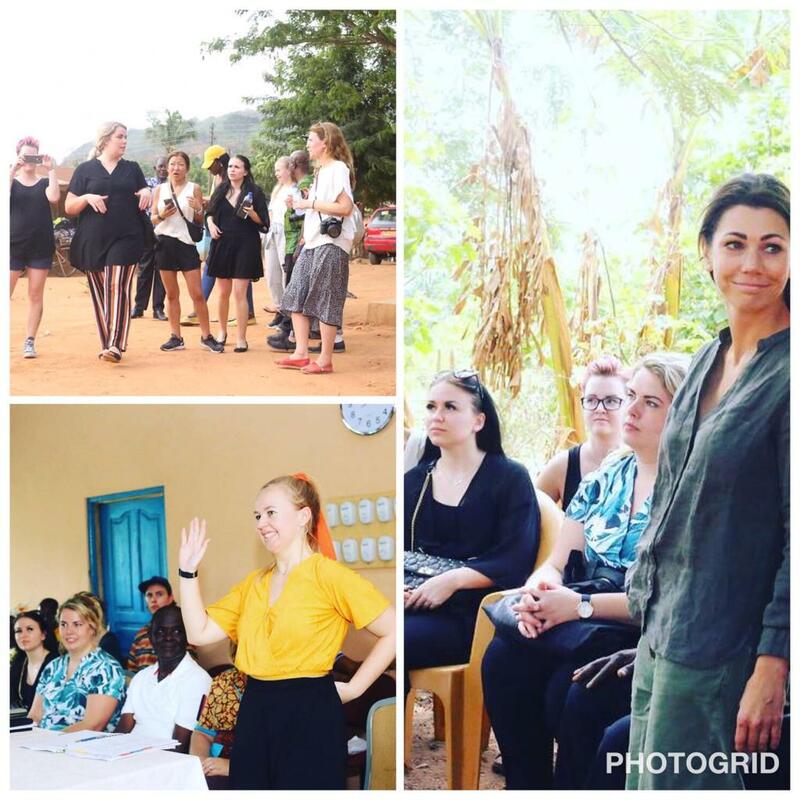 In an exclusive interview with rainbowradioonline.com during a trip to the Obenyemi Epicenter on 19th March, 2019, Johanna Hagberg stated that it has been an overwhelming experience for her and her colleagues from the Give Time Foundation. Johanna added that, the togetherness and unity demonstrated by the people of the Obenyemi Epicenter and its environs to make use of the little given to them by her foundation and THP-Ghana will empower herself and her team to continue to support these rural folks. “It has been an overwhelming experience and I feel very empowered by all these people that really come together and really do their part and cease the opportunity and have that entrepreneurial spirit that we encourage in our foundation”, She said. Throughout Africa, The Hunger Project’s Epicenter Strategy mobilizes the population of a cluster of villages within a 10km radius to create an “epicenter,” or a Center from which community-led development emanates to the surrounding areas. Through this fully integrated development strategy, community members establish and manage their own programs to address food security, nutrition, health, education, microfinance, water and sanitation. Epicenters follow four distinct phases over a period of about five to eight years on a path toward to sustainable self-reliance. Obenyemi Epicenter is currently in Phase 4, during which villagers enter their transition to self-reliance and The Hunger Project begins to withdraw financial support. The epicenter community affirms its partnerships, ensures funding streams from revenue-generating activities and begins relying on its leadership structures for future growth. Trainings are led by community-based animators, and epicenter committees manage each program, including budget oversight and leadership transitions. The epicenter strengthens its partnerships, including solidifying and creating an even more powerful partnership with local government. Obenyemi epicenter serves 9 villages with a total population of 3076 women, men and children in the Yilo Krobo district of Ghana.